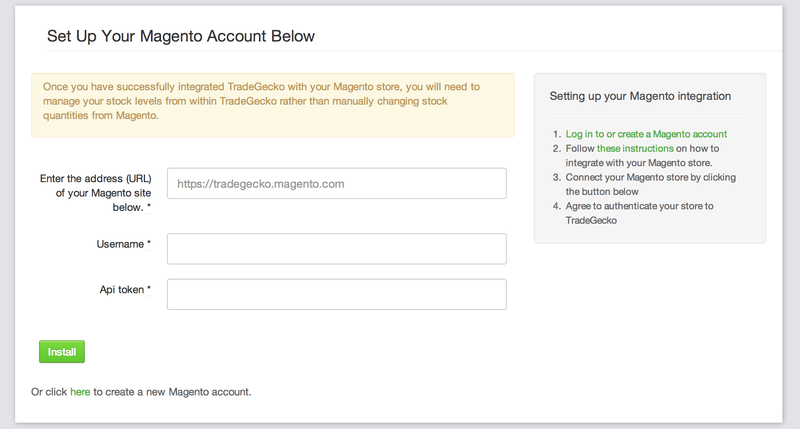 How do I link the Magento SOAP API with TradeGecko? We use the Magento SOAP API to integrate TradeGecko with your Magento store. 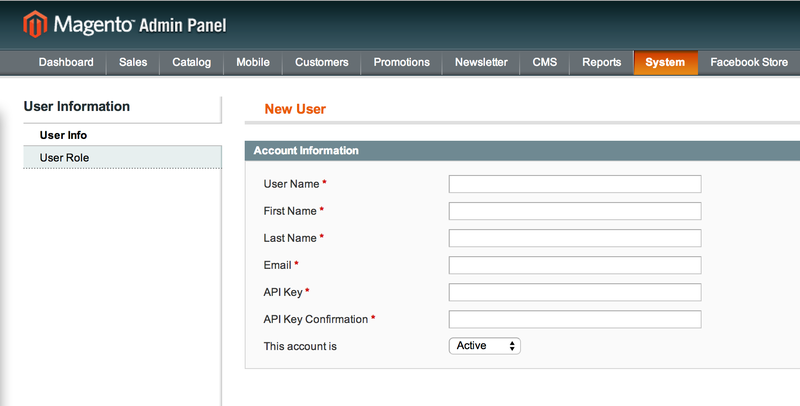 Log in to the admin section of your Magento account. 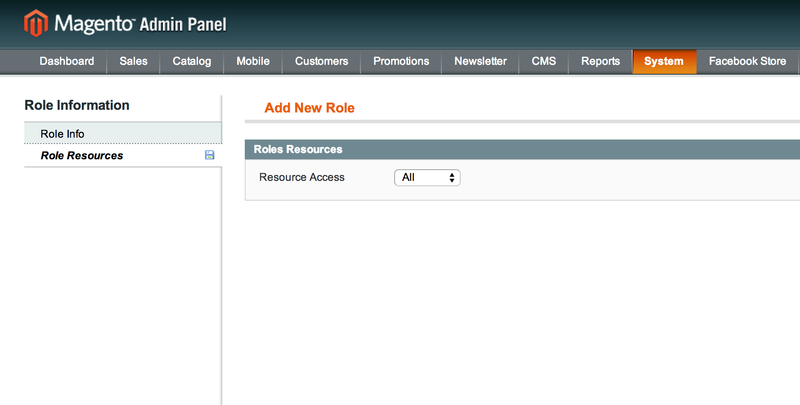 Go to the Role Section of the SOAP API (System -> Web Services -> SOAP/XML - Roles). 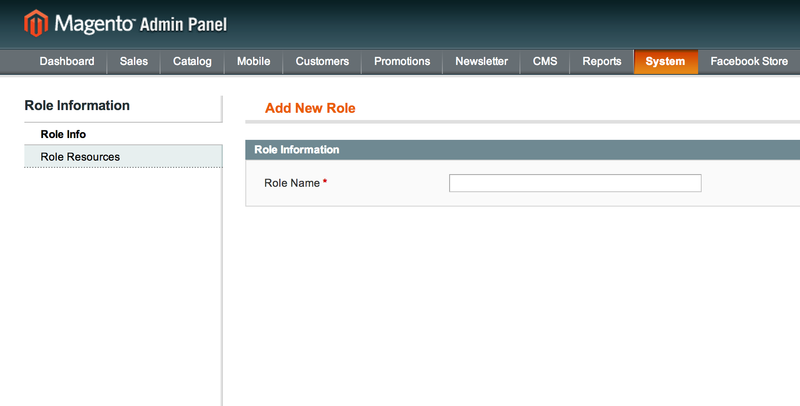 Add a role name (We recommend a name like TradeGecko). 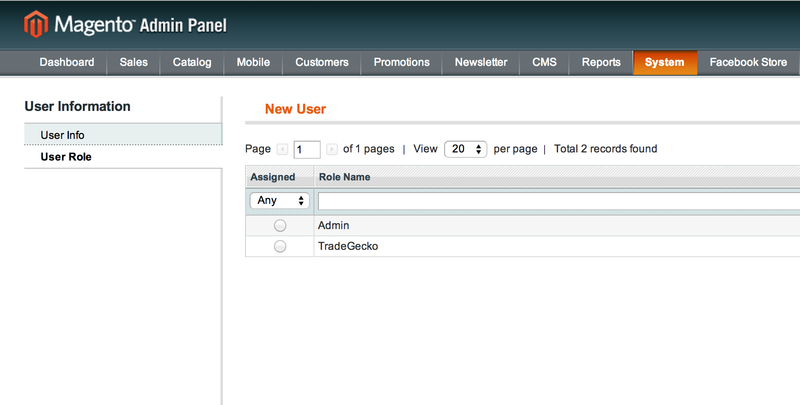 Provide this role access to all of Magento so TradeGecko can manage your inventory. Save the role. Go to the User Section of the SOAP API(System -> Web Services -> SOAP/XML - Users). The user name and API Key are what we will be using to connect to TradeGecko. Select the role you just made (should be TradeGecko). Save the user. If the role isn't here, please return to Step 2. Fill in your Magento Store URL - please include http or https. Add the Username and API Key from the previous step.